Insulation Sorberscreen PC 3-4kg/m2 | Exalto Emirates LLC. 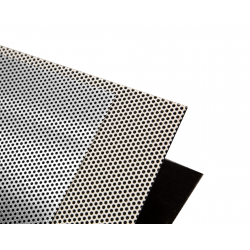 Sorberscreen® is a perforated metal sheet sound absorber. The sheets are supplied either plain or backed with Sorbertextile™ STA, a black, high air flow resistant glass based acoustic textile, that offers high performance sound absorption. 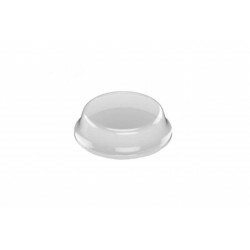 The product has a hard durable finish with an aesthetic appeal. 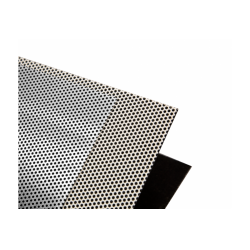 The perforated metal screen is made from either marine grade 5052 aluminium sheet (Sorberscreen ALU) or electro-galvanised steel (Sorberscreen EGS) with 28% open area. This open area allows the sound waves to be passed through from the noise source and be absorbed by the backing fabric. Sound waves when travelling through the flow resistant backing fabric, creates heat through friction, causing a loss of energy, thus reducing noise and reflected sound. The sheets have a white powder coating, offering resistance to corrosion. The metal screen can be easily powder coated or spray painted to any colour desired, before being bonded with the backing fabric, Sorbertextile STA. 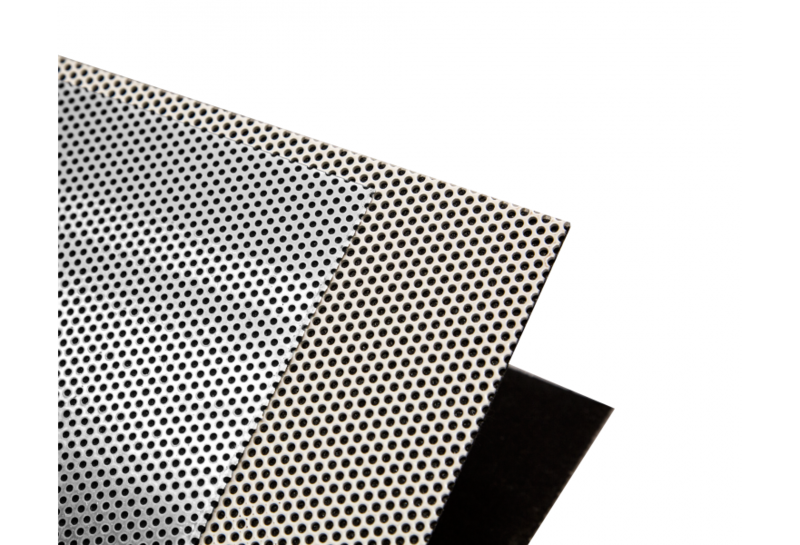 The degree of sound absorption obtained can easily be increased, by increasing the air gap behind the Sorberscreen®. 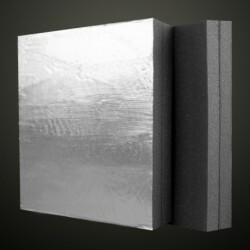 This cavity created, can be filled with any other insulation material to further enhance sound absorption. 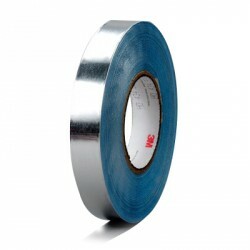 The backing material provides a protective layer and prevents fibre release, if any, from such insulation materials. Sorbertextile™ STA is non combustible and has a hot melt reactive adhesive backing. Besides providing excellent mechanical strength, the fabric offers high opacity and an aesthetic appearance, making the product a perfect finish for sound absorption in engine rooms, soundproof enclosures, architectural walls and ceiling absorptive panel applications. • Decorative and durable protective engine room cover in marine, power generation and engine bays of large mobile equipment. 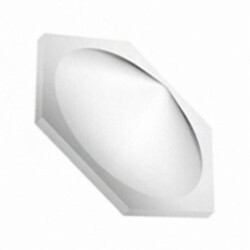 Maximises noise control by providing superior air borne noise reduction. Complies to IMO FTP 2010 - low spread of flame. Complies to BS476.6 and 7 - Class 0. 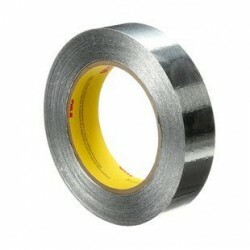 Highly durable, offers high impact resistance. 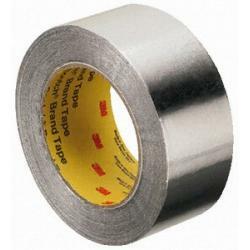 Can be supplied with Sorbertextile™ STA backing. 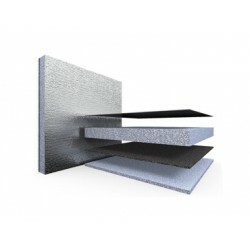 Can be used in conjunction with other insulation materials like Sorberpoly™, Sorbertextile™, Sorberfoam™, Sorberglass® and Sorberbarrier® products to increase the acoustic performance. Easy to clean, cut and install. 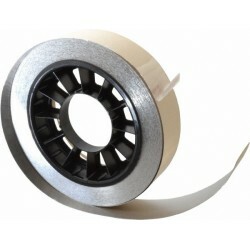 Easily cut and shaped using conventional metal working tooling.